Theism is the gift of our Lord Jesus Christ. When he had been risen from the dead, he commanded his followers to go and make disciples of all nations, baptising them in the name of the Father, and of the Son and of the Holy Spirit. We follow this command when we baptise people in the church. In the Anglican Church both children and adults can be baptised. Adults make the promises themselves but children’s promises are made by the parents and godparents. Children are baptised in response to God’s all-embracing love. Parents and godparents who have responded to that love bring their children for baptism. In the service of baptism the parents and godparents express their own trust and commitment to the promises of God, and their intention to bring up children in the faith and practice of the church. In due time these children should make their own response to God, and be prepared for confirmation. 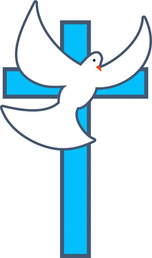 ​We warmly welcome children and adults who come for baptism. One of the clergy will meet with you to explain the meaning of baptism and what is being promised. In choosing godparents for their child, parents should bear in mind that in view of the promises that godparents will make during the service, the godparents themselves should have been baptised. If you would like to make enquiries about having your child baptised or being baptised yourself please ring the St Paul’s Parish. The Minister will be happy to discuss the process and what preparation is required with you during a relaxed, non-threatening visit . Baptisms can be conducted on a Sunday during the 10.00am Sunday Service or during Messy Church.